Musings about sewing, fitting challenges and life. 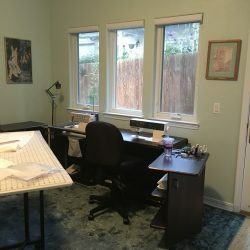 I am a petite-sized, sewing Soprano with a great passion for all types of sewing including custom garments, quilting, home decor, machine embroidery and working with leather. I would first like to say that I love boots! But I have a bit of a problem, many styles are cut and made to fit taller women with longer legs. The top of many high-style boots(just below the knee) often hit my leg at the widest part of my calf, not where they are designed to be worn. After comparing average female calf measurements, I find that my calf circumference is similar to that of a women five inches taller than I am. Yet, a pair of boots that are comfortable for taller woman to wear, are often tight and hard to pull on or zip up to the top without cutting off circulation to my legs. For years, I thought my boot-fitting issues were due to my calf circumference. Turns out it was a length issue all along. Putting comfort issues aside for the moment, when I wear a taller boot height, less of my legs are showing when I’m wearing a skirt or dress with the hem at or above the knee. The result? My boots are effectively “cutting me off at the knees”, so to speak. A different and more flattering visual effect is achieved when a taller woman wears these same boots. The tops of her boots are lower in proportion to her knees which visually elongates her legs and creates a more evenly-balanced proportional image, all with the same boot height. So far my boot circumference challenge work-around up to this point has been to pick out the stitches on the back seams of my boots with my seam ripper down about 4-6” then sewing in (or have a shoe repair craftsman sew in) some color-coordinating extra wide elastic, (horizontally) on the sides and at the base of what has then become a V-shaped opening. (see photo) Then my boots are much more comfortable to wear! I’ve also tried wearing the so-called “wide-calf” boot varieties and found the wide-calf opening to be excessively wide, with more than an inch gap between the boot and my leg. This effect doesn’t seem particularly visually attractive and they feel too loose while consistently wanting to droop down the entire time I have them on. It depends on the style, but I wonder if boot manufacturers will ever consider making petite-proportioned boots? Admittedly there are a lot of longer-legged petite women out there for whom this may not be such an issue, but I think boots made about 2-3 inches shorter in length/height might work well for people built like me. The length issue reminds me of what often happens to standard-sized dresses and blouses at the hip level when a petite woman tries them on and pulls the waist or shoulders up about an inch or so; everything begins to drape and fit better. It’s like Peggy Sagers of Silhouette Patterns often says, when working to achieve the best fit, always address “length first”. Even though I’ve been sewing for forty plus years, I’ve only recently started experimenting with machine embroidery. What a treasure trove of creativity this new skill set has opened up for me! The process of justifying and ultimately purchasing a new sewing machine with embroidery capabilities was for me, a very gradual odyssey. After all, my little workhorse, Pfaff 6152 “Jeans and Satin” sewing machine, which I acquired in the late 1990s, has held up extremely well over time with NO trouble whatsoever. 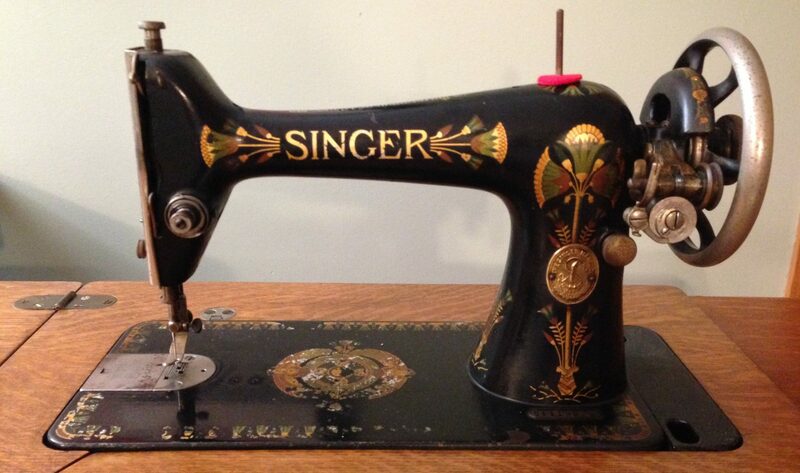 In addition to the many items of clothing I have made with this dependable model of efficiency, I also learned to do free-motion quilting with it and even machine-quilted two queen-size quilts with no industrial long-arm in sight. Still, as my patient friends and husband can attest, whenever I would be in the vicinity of machine embroidery displays at Sewing Expos, State Fairs or my local sewing store, I would invariably want to stop, observe, linger and learn more about what these particular types of machines can do. What I noticed at these times was that my imagination would begin to spark, envisioning all sorts of future projects; fabric embellishment, quilting design, collars, cuffs, shirt and jacket yolk, jeans jacket panels and more. After much research, reading reviews of various machines and trying out the top contenders out at various sewing machine stores, I finally decided on a Pfaff Creative 3.0. It’s not the top of the line, but it is definitely a higher end, professional model with excellent capabilities. I’m still in the learning stages in discovering everything it can do, but even my first attempts are turning out remarkably well. I will post a photo of a sample I experimented with on stretch denim. I think it’s safe to say I’m hooked. Lastly, I should say that I decided to hold on to my “Jeans and Satin” machine. I plan to use it for doing top stitching during jeans construction, or quilt piecing when my other machine I set up for another function, like embroidery!